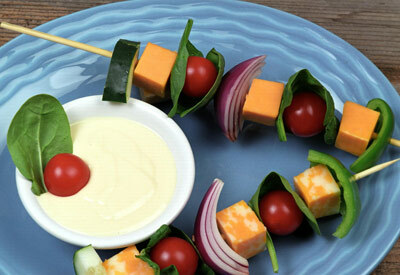 A fun way to eat salad that is easy to take on the go or make a part of your backyard BBQ. In a small bowl, stir all ingredients together until well blended. Store in refrigerator until ready to serve. Dip and enjoy! In a small bowl, combine the yogurt, cilantro, scallions and lime juice. Add salt to taste. Set aside for at least an hour to allow flavors to meld. Will keep 3 to 4 days in refrigerator.